I am a singer/songwriter, positivity coach, and podcaster here at Positively Delighted. I love to tell unique stories with my music, podcast interviews, and blog posts. The story of my song “Dolly Smiles” is certainly no exception. In fact, I believe it may be the most important story I will ever tell. I wrote this song in honor of a very special family friend, named Dolly, who passed away from cancer two years ago. The “Dolly Smiles” Project is my way of passing on the positivity that Dolly gave to me. 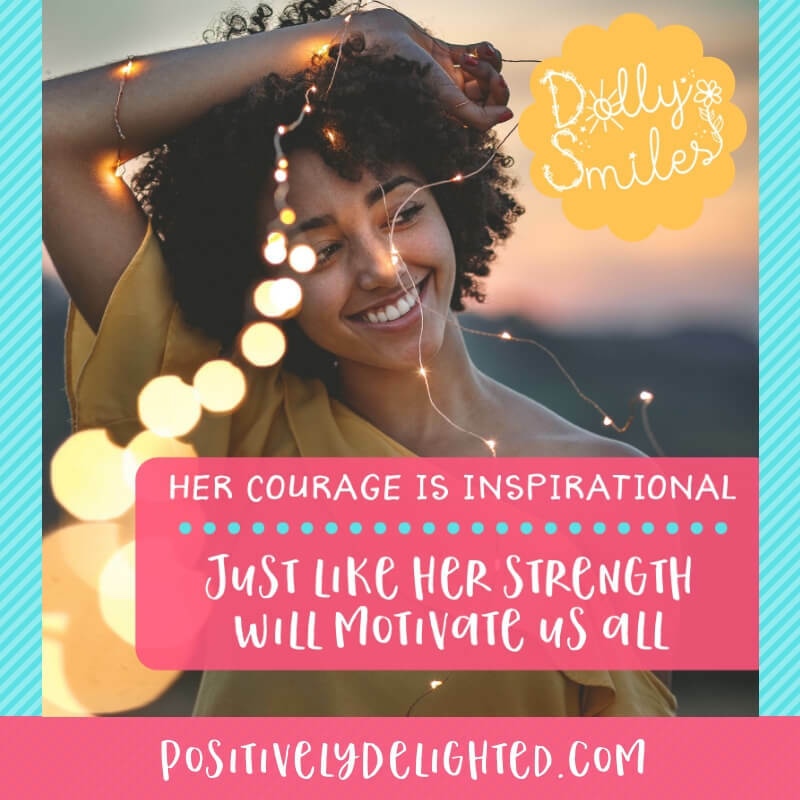 To do this, I have created a “Dolly Smiles” product bundle, including my album “Music & Lyrics” and an ebook called “Dolly Smiles: 100 Ways to Live a Positively Delighted Life”. I will be donating 50% of the proceeds from this bundle to Hogkin’s International. My hope is that through this song, you’ll be able to share in this positivity as well. My mom met Dolly in a ceramics class in the late 70’s and they bonded over their love of art. Mom had no idea at the time that her new friend was battling Hodgkin’s disease. Dolly didn’t dwell on her illness. To her, time was better spent learning and creating. Dolly survived Hodgkin's. She survived a lot of illnesses during her life, including thyroid cancer and breast cancer. She was a survivor, a fighter, and the example of optimism. Dolly was faced with many challenges in her life and her health, but she didn’t focus on that. She was too busy living, learning, and loving. Her giggles were legendary and the smallest things would make her so happy. I am so grateful to have known Dolly and to be the lucky person who got to write this song for her. We could all benefit from more positivity and from living a little more like Dolly. A few months ago, I went to a seminar from Chicken Soup for the Soul co-author Jack Canfield. He told us to make a big audacious goal. A goal so big that in order to achieve it, we would have to become the person we wanted to be. My dream is to share this message with the world and to raise $50,000 for Hodgkin’s International (which Dolly co-founded) by Dolly’s birthday next year on August 30th, 2019. To accomplish this, I created a special “Dolly Smiles” bundle of my album “Music & Lyrics” and will be donating 50% of the proceeds from this bundle to Hodgkin’s International. I want to donate this money in Dolly’s honor and in the process, spread her spirit and her joy with many many people. This special "Dolly Smiles" bundle includes the digital version of my album "Music & Lyrics", a digital lyric booklet, and the ebook "Dolly Smiles: 100 Ways to Live a Positively Delighted Life". Dolly gave so much in her life. She gave her love, her time, her courage, and her laughter. Now it’s my turn to give back in her honor. Click here to purchase the Dolly Smiles bundle! Please help me spread the word by sharing the “Dolly Smiles” music video on Facebook. Choose your favorite image and lyric from “Dolly Smiles” to share positivity on social media!